From inflatable event tents to large inflatable buildings Inflatable Structures Ltd design, manufacture and supply truly ingenious inflatables! Need a quirky and memorable space for your next event? 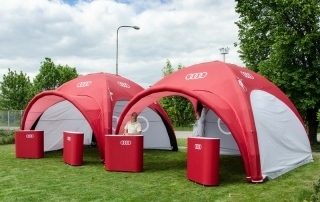 An inflatable structure or event tent could be just what your after! 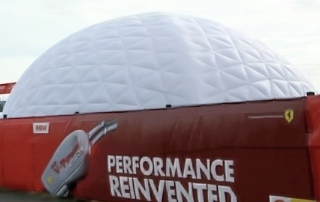 We design and manufacture all types of ingenious inflatables, inflatable structures and inflatable buildings. 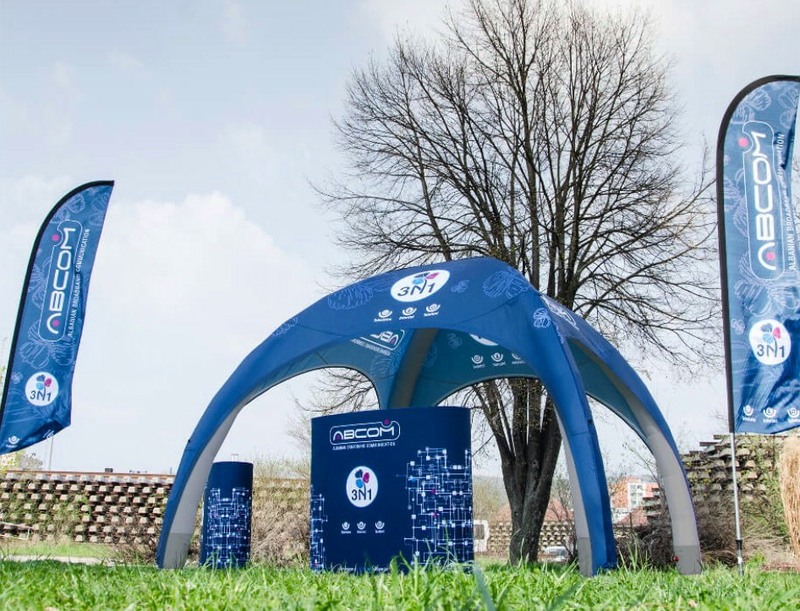 Inflatable structures are ideal for all kinds of outdoor promotional events and can be reused time and again, and they can also be fully branded to suit your corporate identity. Packing down to a very small volume, they are easy to transport and store and can be made in a wide variety of shapes and sizes. 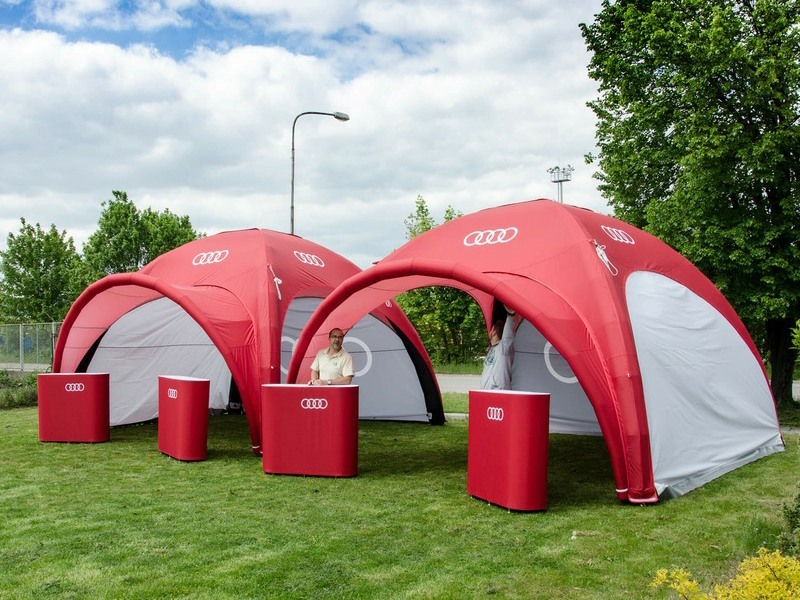 Call us to discuss your promotional event or temporary building needs, we have lots of experience in designing and supplying truly ingenious inflatables and event structures to meet a very wide range of requirements. 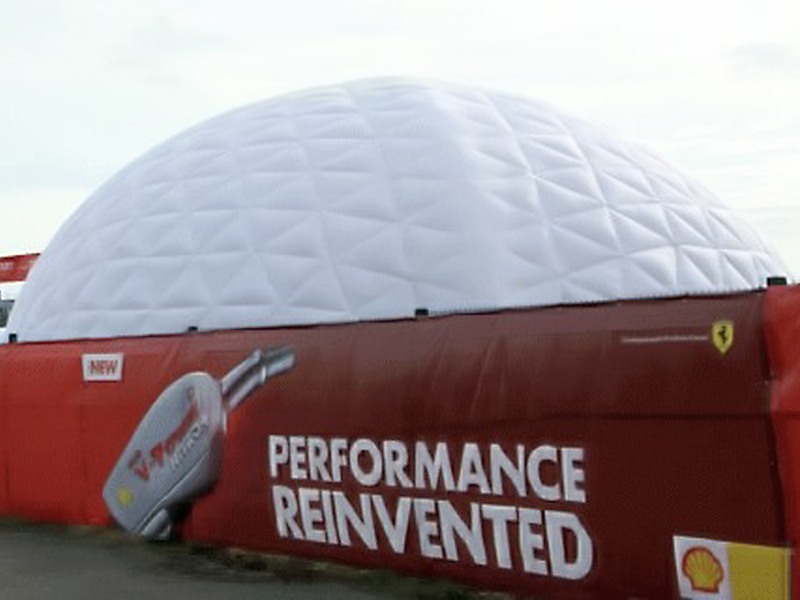 We have a wide range of inflatable structures, from small event tents through large event domes and marquees to complex custom built event structures – and they all come with a wide range of options and can be fully branded. 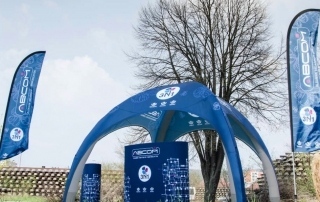 When it comes to event structures we’re proud to say we’re different. We offer something a little more special.